Against the backdrop of Government’s abortive attempt to introduce and pass the controversial citizenship bill in the Rajya Sabha on Wednesday, Congress and Asom Gana Parishad (AGP) have started claiming ‘credit’. “It was due to our rigid stand that the government was not able to bring the Citizenship (Amendment) Bill, 2016 in the Rajya Sabha. We have walked out of the alliance in Assam which was a moral defeat for the BJP for its initiative in bringing the bill,” said AGP president Atul Bora. He said that since day one it was AGP who was opposing the controversial citizenship bill. On the other hand, Congress claimed it as their ‘victory’. “It was our party (Congress) and the party president Rahul Gandhi who have clearly said that Congress is always against the bill. Had it been tabled in the Rajya Sabha, we were determined to scrap the bill once we come to power,” said Assam Pradesh Congress Committee (APCC) president Ripun Bora. Interestingly, Krishak Mukti Sangram Samiti (KMSS) was also not far behind. 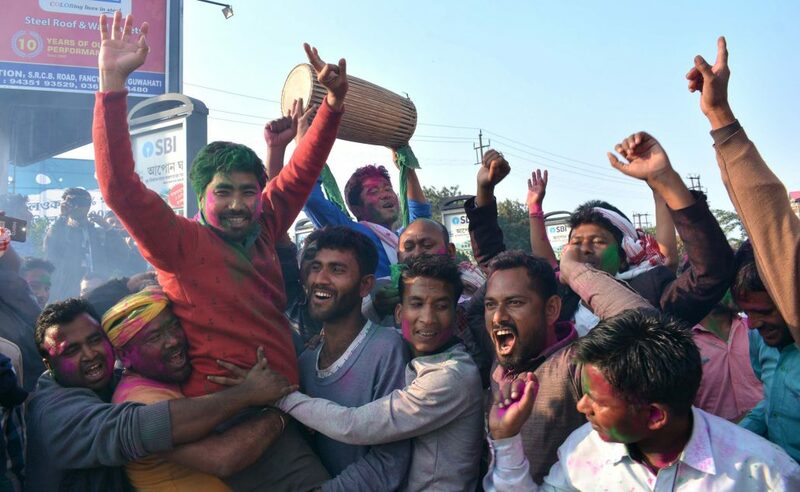 “This was the victory for the people of Assam,” said KMSS president Akhil Gogoi. Though the Citizenship Amendment Bill was not introduced in the Rajya Sabha the government, according to the experts, can bring an ordinance over the bill. “The chances for bringing such an ordinance is less as the government needs to pass the bill by calling a special session of the Parliament in next six months,” said a constitutional expert.